Robert-Jan Smits takes Plan S to the White House to seek support from US funders and policymakers. A month after European funders launched the ‘Plan S’ initiative to demand immediate open access to scientific literature in the next two years, the plan’s creators have revealed more details about their bold scheme — and are hurriedly trying to get support from US policymakers. “We cannot afford to stand still or slow down. 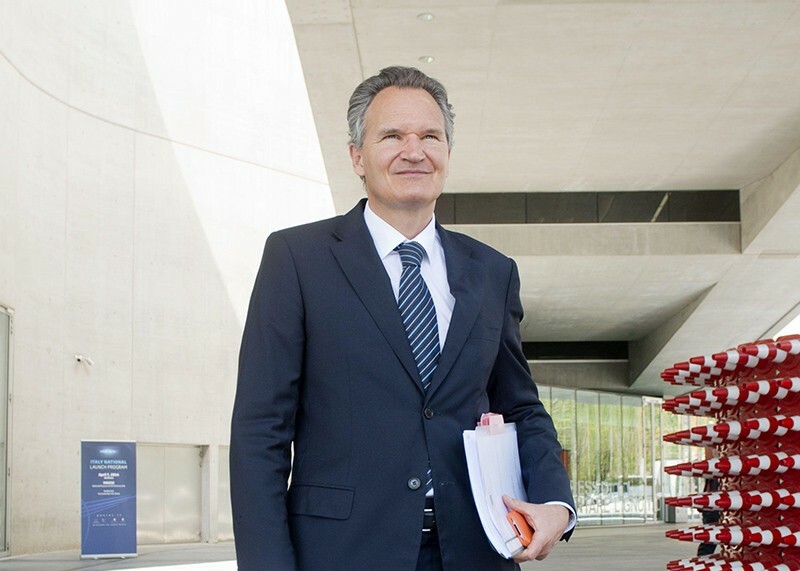 By the end of the year, if we don’t have more funders and statements of support, we will miss the boat,” says Robert-Jan Smits, the European Commission’s senior adviser on open access. Smits is in the United States this week to talk to research funders, scientific societies and representatives of the White House’s Office of Science and Technology Policy. “I’m going for business, not chit-chat,” he told Nature. The task force will release more details about Plan S by the end of this year in a document that will carefully consider whether publishers might develop new business models that “outsmart” the plan’s requirements, Smits says. Initially, a coalition of 11 national research funders, including agencies in France, the Netherlands and the United Kingdom, backed the plan; on 24 September, the Academy of Finland joined the group. Plan S funders say that from 2020, they will require scientists who receive their grants to make the resulting papers free to read immediately on publication, with a liberal publishing licence allowing others to download, translate or otherwise reuse the work. By contrast, the US National Institutes of Health allows a delay of up to a year before papers from its funding must be made openly available. The plan, which aims to flip journals to fully open-access publishing, also states that scientists can’t publish in ‘hybrid’ journals, which collect subscriptions but permit some papers to be published openly for a fee. As written, Plan S would bar researchers from publishing in 85% of journals, including Nature and Science — unless the journals adapt their business models to open-access publishing. (Nature’s news team is editorially independent of its publisher, Springer Nature.). But details remain unclear. Since the plan’s launch, for instance, researchers have wondered whether they would be﻿ complying with its intentions if they immediately made a copy of their accepted paper available online — even if the publisher kept the work paywalled. In mid-September, Smits suggested at the conference of the Open Access Scholarly Publishers Association in Vienna that if an author published work behind a paywall but immediately deposited an accepted version of the manuscript in an open repository, under a liberal publishing licence, they would be adhering to Plan S.
That clarification might mean that many paywalled journals could find a way to respect Plan S without changing their publishing models. But it is not clear whether this would apply to hybrid journals, which the plan explicitly states do not comply with Plan S’s principles. Details such as which license would be acceptable for the archived manuscript, and whether the publisher or the author would retain copyright of the work, also remain fuzzy. Smits declined to answer Nature’s questions about whether researchers archiving preprints would be sufficient, saying that this would all be laid out by Røttingen and Sweeney’s task force. Some details of other Plan S principles should also be fleshed out by the end of this year. Funders have declared that they will cap the fees they are prepared to pay to publish open-access work, but they haven’t yet decided on the maximum amount they will spend, how the cap will operate and which types of liberal publishing licence will be permissible. Since the plan’s launch, an argument has also flared up over whether funders should be able to restrict where academics can publish. Britt Holbrook, a philosopher at the New Jersey Institute of Technology in Newark, co-wrote a blog post arguing that the plan is unethical because mandating where researchers publish impinges on academic freedom. His co-authors include some European scientists, such as biochemist Lynn Kamerlin at Uppsala University in Sweden. But other researchers disagree. Peter Suber, director of the Harvard Open Access Project and the Harvard Office for Scholarly Communication in Cambridge, Massachusetts, says that it is entirely reasonable for funders to put restrictions on how their money is used. Suber, who is meeting with Smits on 4 October, says that taxpayer-funded public research agencies have a duty to spend their money in the public interest. For his part, Smits says it is a “pity” that the academic-freedom argument is being used, “because it stifles a lot of debate”. Smits says it will be key for the task force to think through the potential consequences of Plan S, to mitigate the risk of publishers developing new business models that the coalition “will regret after five years”. “We need to think three moves ahead, like a chess game,” he says.